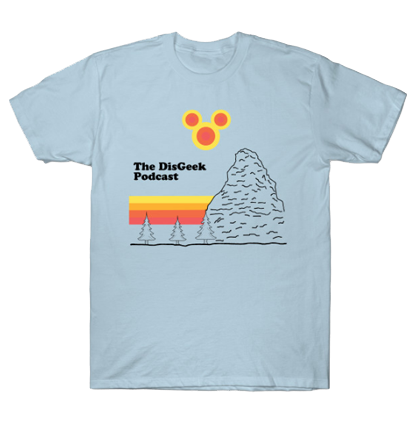 The DisGeek crew discuss the Disney purchase of Lucasfilm and Star Wars. We also interview the Daws Brothers who created the short film Missing in the Mansion. We also are also going to have a small contest, listen for details. We also have our Tip of the Week and we visit the Main Street Newsstand. Earl of Sandwich Finally open. People were waiting up to an hour for a sandwich. It’s time for the Jingle Jangle Jamboree! The annual Christmas Day Special was filmed over the last weekend. Christmas decorations are appearing all over the resort now, including a christmas tree already up in Buena Vista Street. Link shows artist rendering of BVS tree but it is already up. There will be 2 performances nightly during these dates. Information —including list of narrators — and event are subject to restrictions, change and cancellation without notice. Seats to all performances are limited and are subject to availability. Nov 12 Passholder will get full details for a sweepstakes. So is the only way to see this show is to win? And for Passholders only? Disney has a separate line now for 4 and 5 day tickets. Guests are required to show ID. They are doing this in an effort to stop Rental Ticket Scams.No more watches as Disney has discontinued the custom watch program on Main Street. Daws Brothers Interview – Directors of Missing in the Mansion, a sort film shot entirely in Disneyland. Get Cinemagram for iPhone to take really cool images. Send us a Cinemagram to @disgeekpodcast and you could win a prize!